Canadian Basketball Hall of Fame this spring! Joining Todd will be long time basketball coach from Quebec Olga Hrycak . 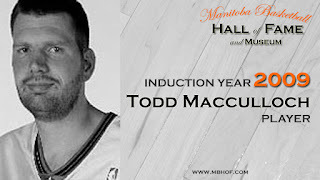 MacCulloch (Winnipeg, MB), currently recognized by the Manitoba Basketball Hall of Fame (Class of '09) and Manitoba Sports Hall of Fame, is one of the greatest centers in our country’s history. Todd is a graduate of Shaftesbury High School where he led the Titans to two consecutive MHSAA provincial championships in 1993 and 1994. 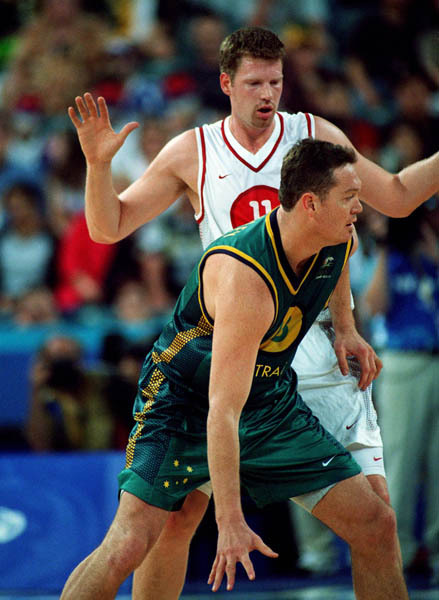 Representing the Canadian National Team 93 times, including the 2000 Olympic team, the seven-footer challenged many all-time records during his time at the University of Washington. In his final two years in Washington, he was an All Pac-10 First-Team selection. He also led all NCAA Division 1 schools in field-goal percentage in his final three years, only the second player ever to accomplish this feat. 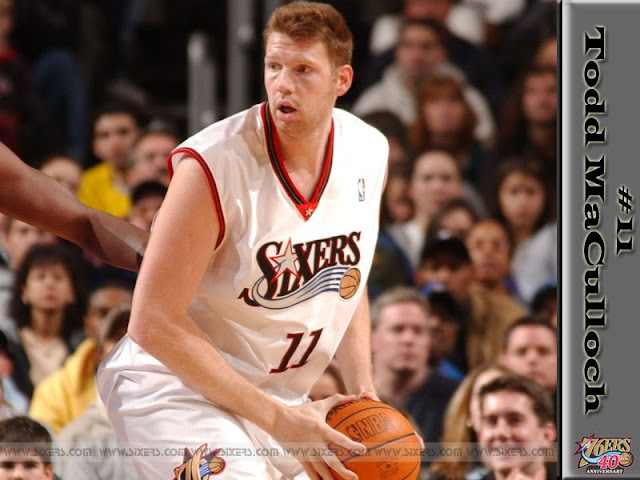 He became a household name in 1999 when he was drafted into the NBA by the Philadelphia 76ers. His career also saw him start for the New Jersey Nets. He played four seasons in the NBA, with the 76ers and New Jersey Nets. 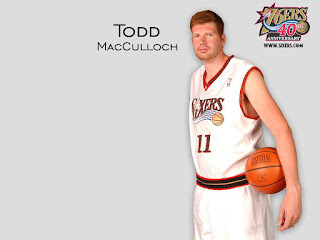 MacCulloch’s NBA career was cut short in 2003 after being diagnosed with a medical condition that affected his ability to play basketball professionally. Through this adversity, he continued to dedicate his vast knowledge and passion for the game by starting the Todd MacCulloch Hoop School Program - an initiative designed to teach basic basketball skills to inner city youth. A short documentary was produced on Todd in 2014 and can be seen HERE or below. Todd joins four other Manitoba players who have received this individual recognition. The other three are Martin Riley, Fred Ingaldson and Carl Ridd. Both of this year's inductees will be honoured at The Sport Gallery in Toronto during a ceremony on May 18, 2017.